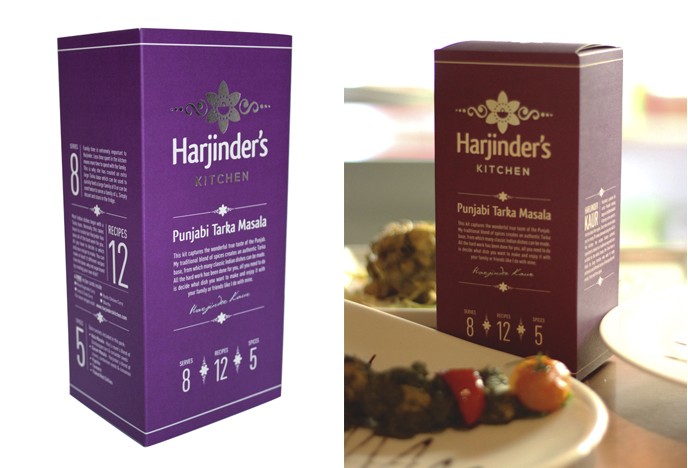 Harjinder's Kitchen - Branding by Alpha Design & MarketingAlpha Design & Marketing Ltd.
Harjinder approached us at the early stages of developing her ‘Harjinder’s Kitchen – Punjabi Tarka Masala base’. 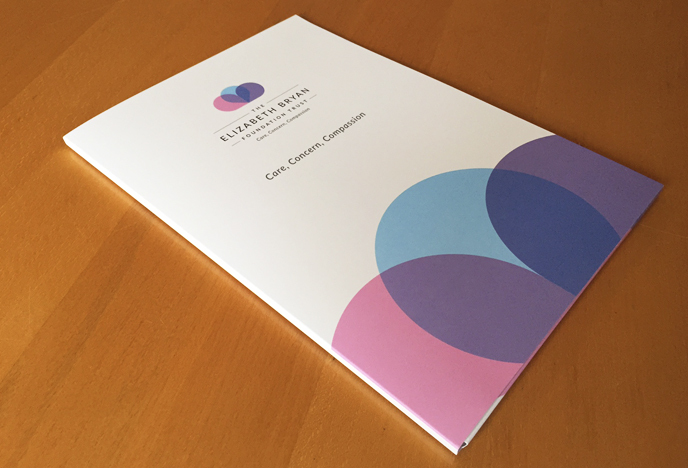 Alpha helped her to identify her target market and set about creating a brand and packaging design that would attract them. 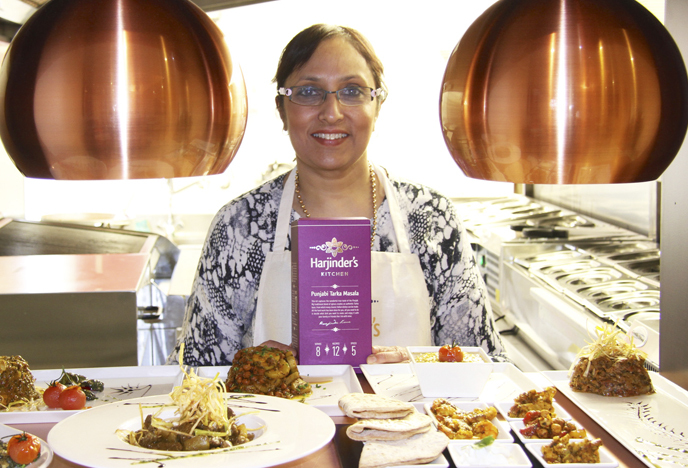 We helped her to find a co-manufacturer who made her base from her secret recipe, with a bit of tweaking and taste testing Harjinder got the recipe spot on – so close that not even her son could tell her home cooked dishes from the co-manufacturers! 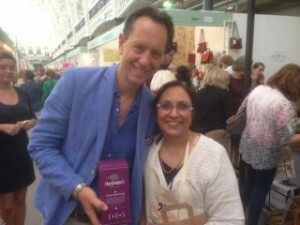 Alpha sourced Harjinder an ‘off the shelf’ carton which would fit her product perfectly. 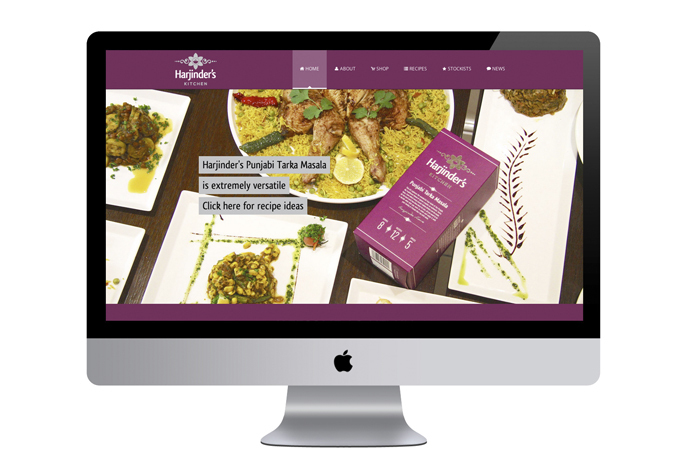 We also designed Harjinder recipe cards, stationery, banners and an ecommerce website. 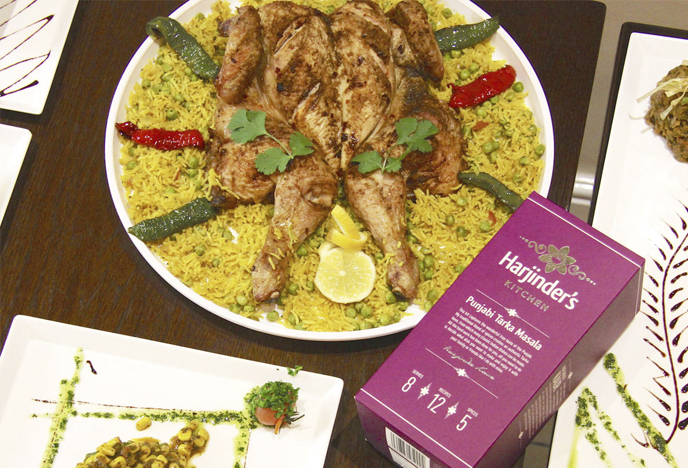 Harjinder’s Kitchen is doing very well, she has successfully launched her product which has seen lots of media attention (including attracting the attention of Richard E. Grant!) 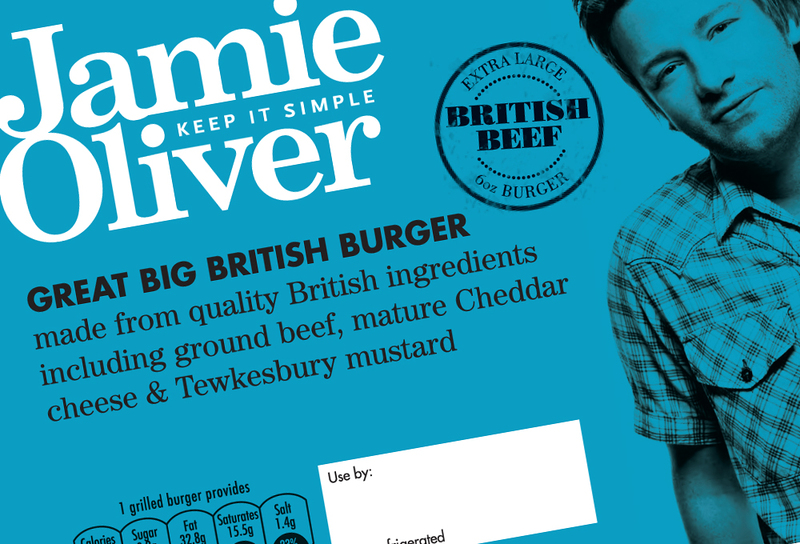 as well as being stocked in many delis and butchers. 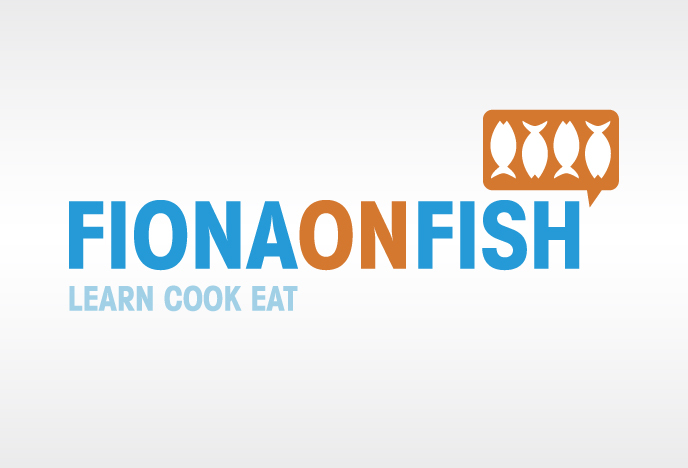 Design a brand, packaging and website for Harjinder’s Kitchen and develop a route to market strategy.